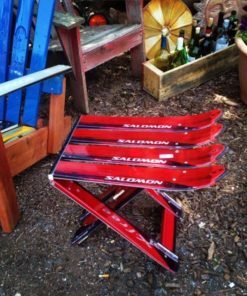 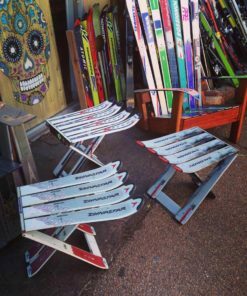 These ski side tables are perfect for a relaxing sit when you have a drink, a book or phone or dinner plate you need to set down, and also sturdy enough to sit on too if you take it camping or on any adventure. 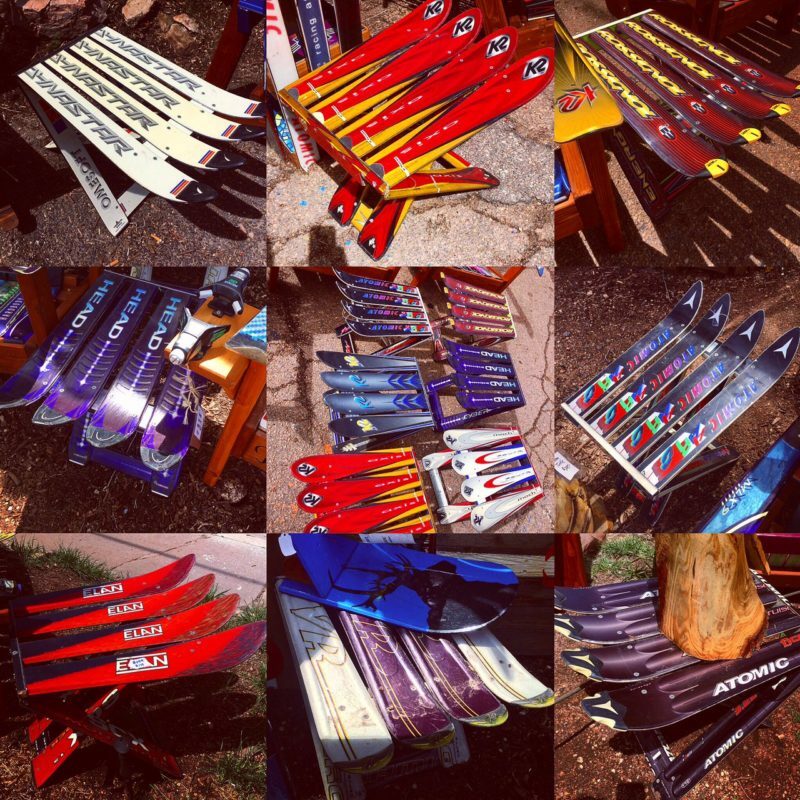 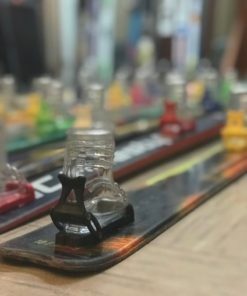 Made completely of skis, you can order them by brand or color as well if you have a special request, just let us know! 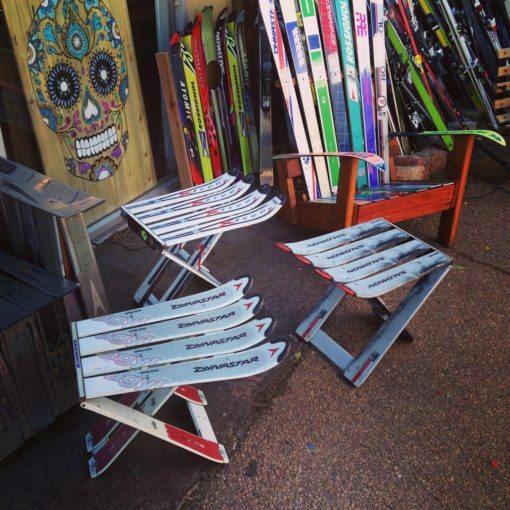 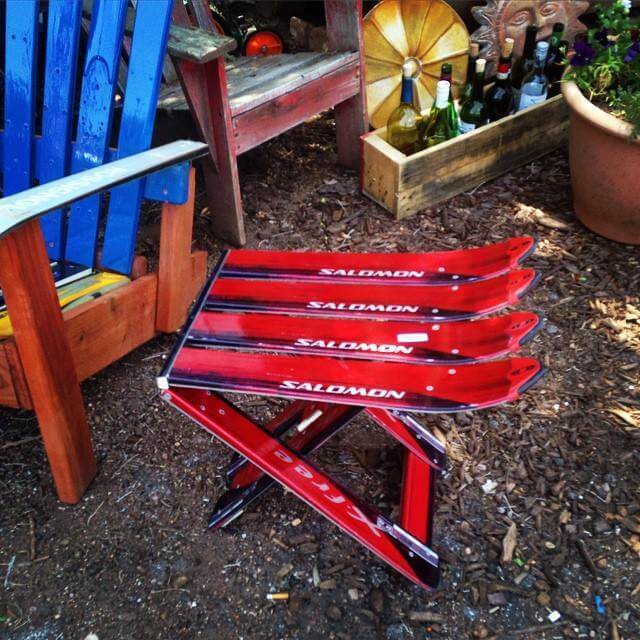 Our popular Ski Side Table/ Folding Stools are always a hit. 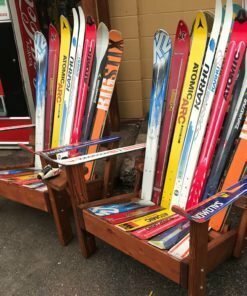 They have a 300lb. 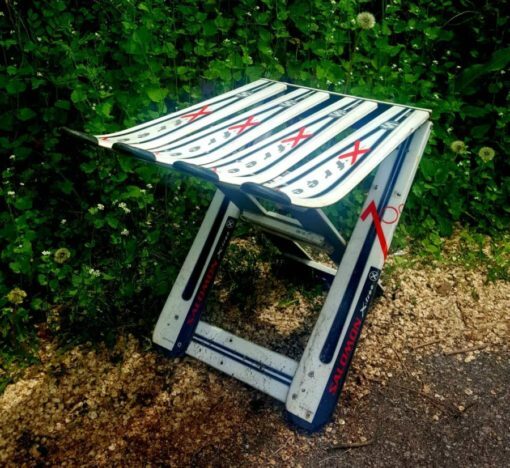 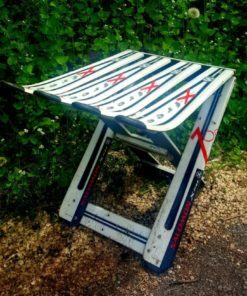 weight capacity for sitting or are also perfect for travelling, camping, fishing, tailgating, or used at home as a perfect side table between your ski chairs! 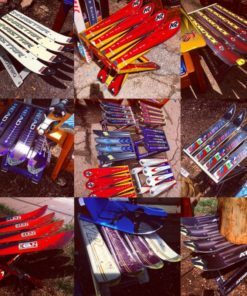 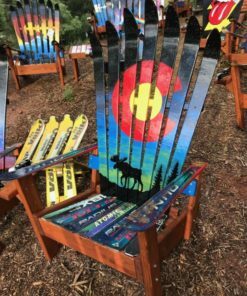 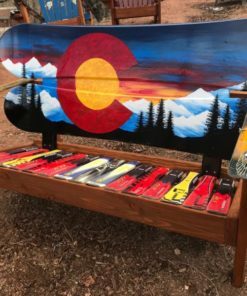 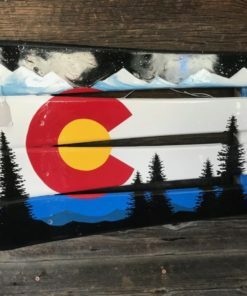 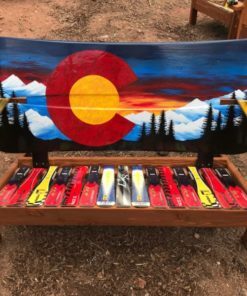 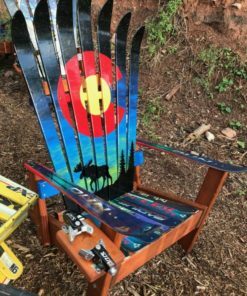 They’re made of all original skis, they fold down easily to be stored or transported, are lightweight, durable, and made in Colorado! 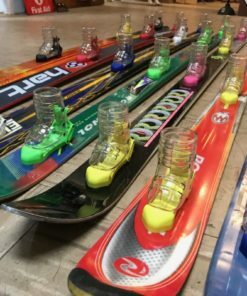 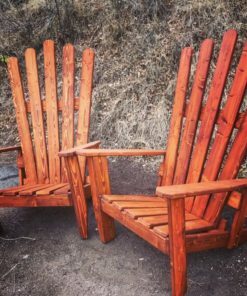 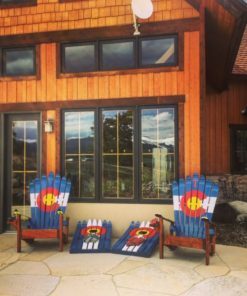 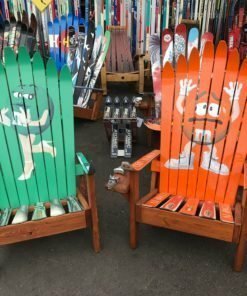 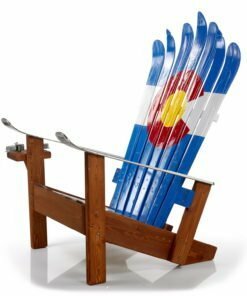 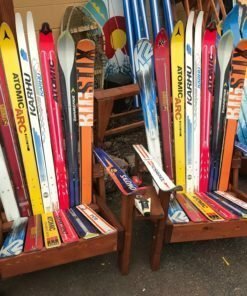 A perfect gift for anyone, they’re inexpensive to ship and are a wonderful, affordable choice for any ski furniture shopper!